Take the 30-Day CrossFit Challenge! We are looking for motivated men and women who are ready to earn a Free CrossFit Membership! *Limited FREE memberships are available. "Today I'm down 75 pounds! Coming to CrossFit Kindred was a good choice for me because all the trainers and members are so supportive, sweet and extremely funny. They make you feel like family. " "I was in a bad car accident and spiraled into a deep depression. I got to 389lbs and trapped myself in a personal prison. 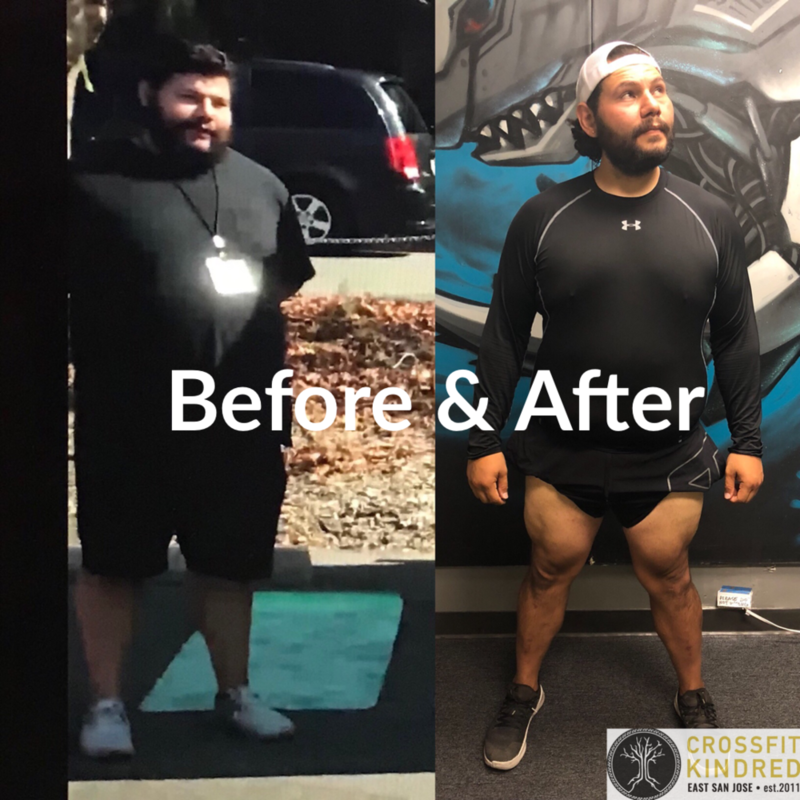 One of my friends invited me to CrossFit Kindred and my journey to transformation began. Today, I am free from my prison and have lost over 125lbs." ~ Joe A.